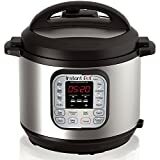 Click a link below to view the top pressure cookers brands and their respective models reviewed. Looking for the ultimate guide to pressure cooker reviews? You've come to the right place! We have done our best to review the top products for each of the major manufacturers. If you know of something that we missed, please contact us.